Creating a budget to follow doesn’t have to be difficult. Choose from starter (first time budgets), family budgets, Grocery budgets, or personal budgeting ideas for singles, those with roommates and more. this is a great site! thank you so much for sharing all of these tips! i recently had to leave my job due to some pregnancy complication and that leaves us very strapped for cash! this is so much help! thank you again!!! You’re quite welcome! Welcome to the site! We try to add as many different items as we can to help a wide range of folks. You might like our tips and tricks area, it offers lots of suggestions for inexpensive baby care and things for the little ones. so glad i found this site. its just what i have been looking for. i’m sorry, i’m confused. how do you use the templates that pull up? I’m not sure I’m understanding your question as it is worded, but I’m going to give it a go anyway. It depends on the template, you just fill in your own information so you can see where your money is really going each week, month. It shows you a guideline so you know which areas to reduce your spending so you can tell what to work on, it also helps you see whether or not you have enough income for what you are spending each month too. If you’re asking how to fill In the templates, most of them are in Microsoft xcel and they are spreadsheets. You plug in your info and many of them autocalculate for you. 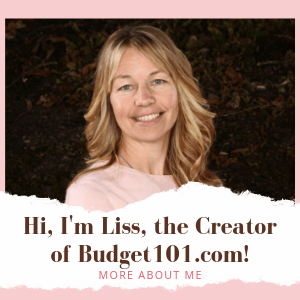 budgets 101Thank you has a ton of fabulous ideas Thank you so much for all of them, I love this site. Thank you again will post again when I try the Amazing Scum Removing Cleaner. i like to read new budget tips. was looking at each link because the items on this page are of particular interest to me. did you know that several of the budget template links are broken and get a 404 error? I was also surprised to see that the Grocery Budget link is broken and for some reason the Grocery Guide tells me I don’t have permission to view it. I do appreciate the simplicity of the spreadsheets that are working. Although I’m capable of doing this for myself, it’s so much easier when a template is already made, and so attractive in the case of the garden budget, in particular! Just looking at them gave me some ideas for tracking several of my projects, like home remodeling. i have a monthly budget that i use that i just created in excel. but i guess you have to know how to use excel and know how to use the formulas. i plug in my numbers and it does all the calculations. just set up a monthly budget plan! i feel better already… ready to focus on where all my money is truly going! i am so happy i found this site. i am single and finding it difficult to adjust after many years of cooking, shopping etc for a family of 5 to single portions. Hints and tips on here are a great help. i loathe buying cards for events. the presents themselves, not such a big deal. but i absolutely hate spending $4 – $5 on a ‘good’ card 2 – 3 times a month. I just bought card stock (Sam’s Club, 7.23 for a ream) and color cartridges for my printer ($29.43 for cyan, magenta, and yellow at an ink refill place) and was going to start making our greeting cards with the use of americangreetings.com. One month = $3.99. So, I’m thinking after 10 cards, I’ve gotten my money back. Anyone have any better / lower cost ideas? Anyone tried this? Is it worth it or am I ‘chasing my tail’? thank you so much for compiling all of this great information!! due to health/pain issues, i can no longer work full time as a nurse so do volunteer paramedic work. sad to say, we have let our credit card balances rise and need to get them under control. i’m trying to save money in all areas so we can get out of debt. i think you have just pointed me in the direction we need to go to get a handle on just what to do! thank you! i’ll be referring to you a lot. thank you after my hubby lost his job due to emergancy surgery things are tight and any help i take to heart now that he found a job after recovery i can use the site to help us get back on track. this site is amazing! these are very useful, thanks! thanks for all the information. in this economy we need all the help we can get. This is funny: I clicked on the link for How To Feed A Family of 4 or More on Less Than $200 a Month, thinking that it sounded like a good buy . . .